The Ink Trap: Out to Lunch by Art Impressions! Hey, all! 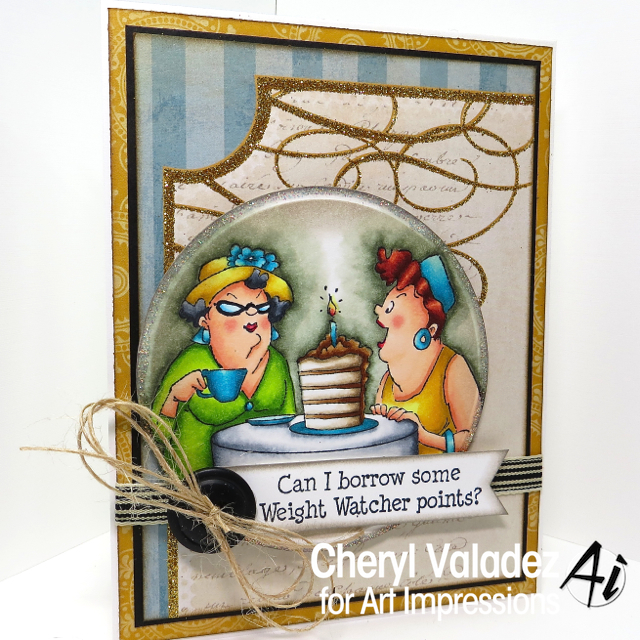 I'm back today with a card I'm sharing on the Art Impressions Blog. This one features a couple of besties having a nosh and sharing a big ol' chunk of chocolate cake! YUMMM! 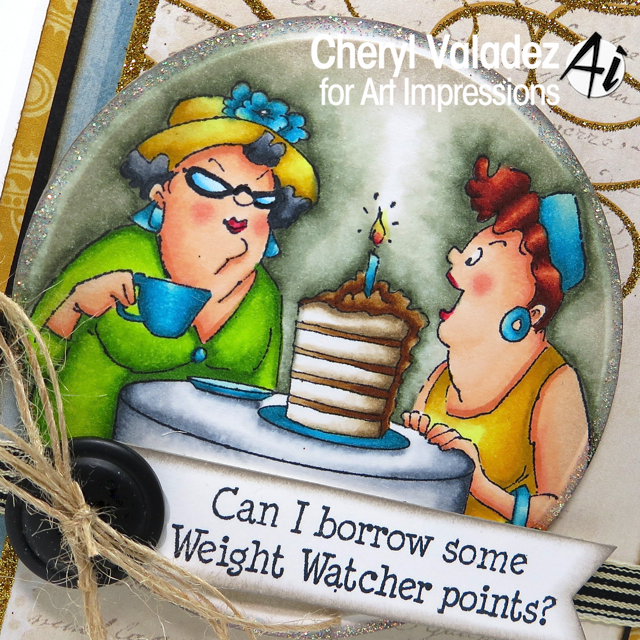 Wouldn't it be great if Weight Watcher points became part of our actual currency! Of course, along with all the fabulous possibilities, we would have to be extra cautious, as well. Imagine being mugged for your Weight Watcher points...LOL! Sounds funny, but I think I might have to punch my would be attacker in the throat! Visit the Ai Blog daily for lots of design team inspiration. Find this set (Out to Lunch) and tons of others in the Ai Shop. Love your card Cheryl and as always your coloring of that image is amazing. I would probably kill if someone tried to steal my WW points. wow Cheryl, what a fabulous card. Great design and awesome coloring.